I made my first challah last week. I am probably the only Jewish girl out there that has never made a challah from start to finish…I can admit that and finally cross it off my bucket list. Actually, when I was younger, I went to Yeshiva (Jewish school) and every Friday before Shabbos the teacher would give us a small dough to work with. I remember making it into a simple 3 strand braid and then bringing the dough home to cook for Friday night. Of course that was the end of my baking lesson and for years I would just go to the local Jewish deli and buy a challah. Unfortunately, living in my part of Southern California, classic Jewish delis are sparse and hard to find unless you live in L.A. It’s these time that I really miss New York. I’ve heard that making challah is a therapeutic experience and I couldn’t wait to get my hands covered in dough and knead some love into baking. 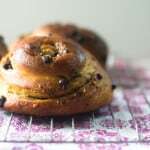 Everyone has pumpkin on the brain and I have been stalking The Shiksa’s Pumpkin challah for some time now. It has all the flavors of fall; pumpkin and nutmeg, cinnamon and honey…I couldn’t resist. 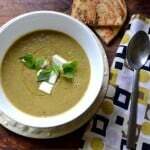 I read through her recipe over and over again, making sure I understood everything. It is a process…a LONG and beautiful process. And for the first time making it, I think I can pat myself on the back a bit. 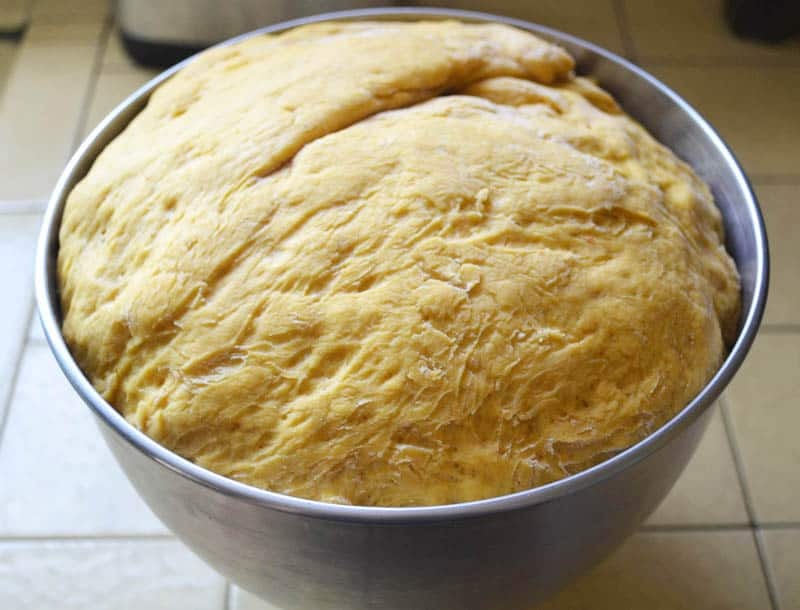 You allow the dough to rise twice, each for an hour and then after you braid you allow it to rise again for at least 30 minutes. I also struggled with the questions of how many strands I should braid. 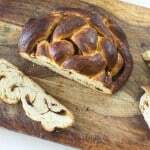 Usually for a first time challah, you could do a classic 3-strand braid. Nice and simple and almost everyone knows how to braid 3-strands, but I am an over-achiever when it comes to cooking and I cut my dough into quarters. 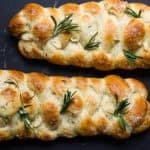 A 4-strand bread is really quite easy. You have 4 strands, secure at one end and just do a “over-under-over” kinda thing. I’ll explain that a bit later. The challah came out perfect. It was golden and fluffed up in my oven The smells of cinnamon and nutmeg perfumed the whole house and I took every sense of smell and feeling of Holiday baking into my soul. The beautiful thing abo0ut this challah, was that I was able to break bread and give some away to someone that has never had challah before. I also want to warn you that thi8s batch makes A LOT of dough. I only used half the dough to make this large challah braid and put the other half in the freezer in hopes of making mini challahs for Thanksgiving. However, I am hearing that freezing challah dough isn’t always the bet option..so watch out for my next experiment before Thanksgiving. 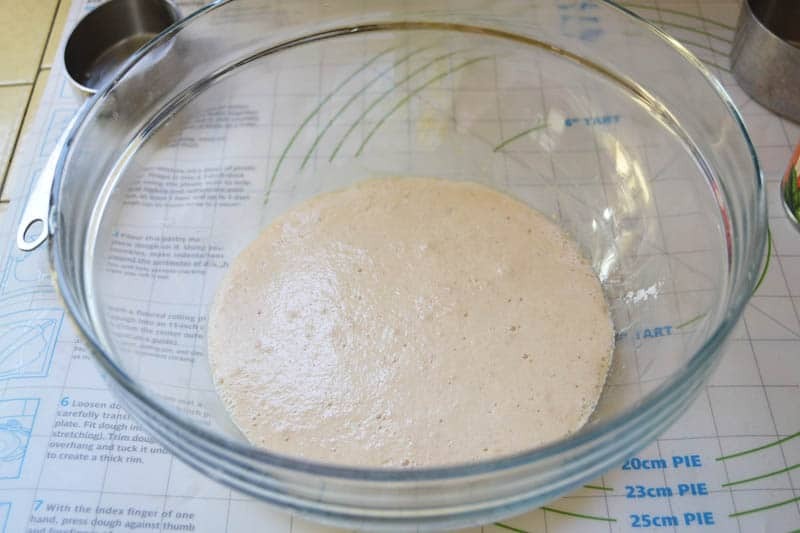 1) In a large mixing bowl, dissolve 2 packets of yeast and 1 Tb sugar into 1/2 cup warm water, Wait about 10 minutes and the yeast should look foamy. If it doesn’t, your yeast may have expired. 2) Once yeast is activated, add other 1/2 cup warm water and remaining sugar and brown sugar, egg and yolks, honey, oil and spices. Whisk everything together until well incorporated. 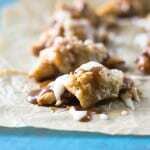 Add pumpkin puree and mix to incorporate. 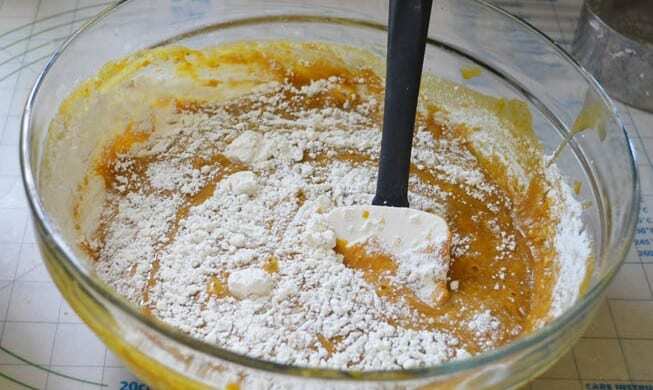 3) Add flour to the pumpkin mixture by the 1/2 cupfuls at a time. Gently mix in with a large spoon (Yes, this was all done by hand!) When mixture begins to get too thick to stir, take out of bowl and knead. This happened about half-way through. Continue to add flour until dough is not sticky. I used 7 cups of flour. 4 Wash out the bowl well and coat it with canola oil. Add dough back in and turn over so dough is covered with oil. Meanwhile, bring a small pot of water to a boil. You will use this to help rise the dough. 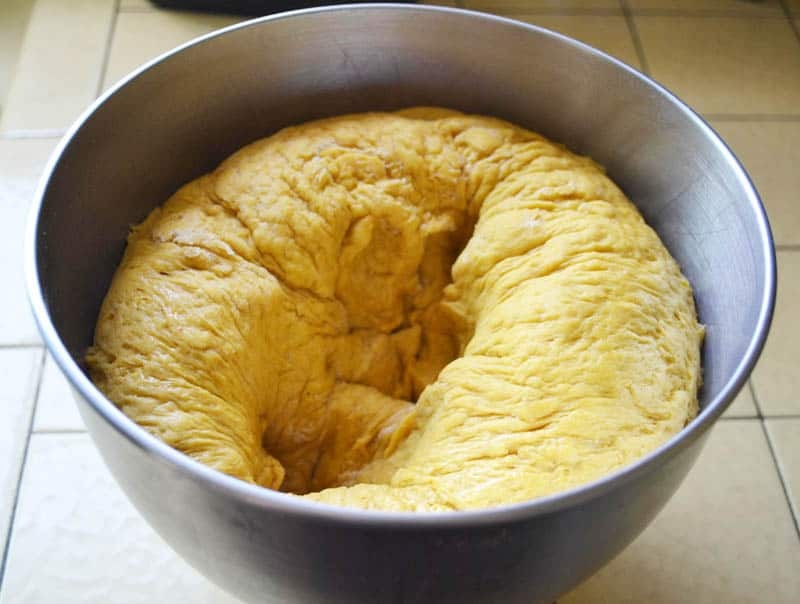 5) Cover the dough with a damp towel and place it over the bowl and dough. Place bowl in the middle rack of your oven and the boiling pot of water (lid off) underneath. This crates a warm and moist environment and helps the dough rise Close oven but don’t turn on and allow to rise for 1 hr. 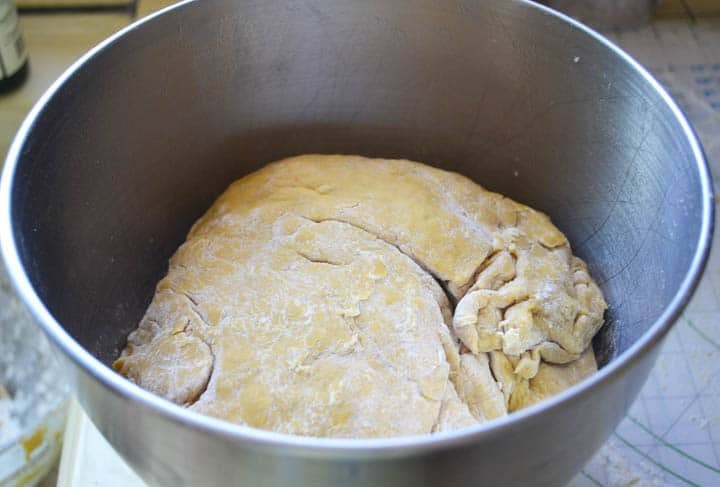 6) After the hour, take bowl out and punch the dough down a few times. This was the fun part! Then place it back in the oven for 1 more hour for a second rise. 7) After the second rise, take the bowl out of the oven. Flour a clean surface and knead the dough a few times. 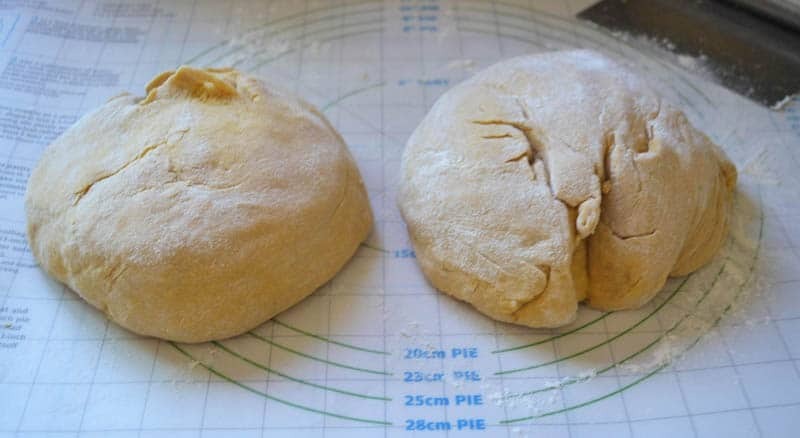 Then cut the dough in half. Each half will make 1 large challah. 8) For a 3 strand challah, cut your half into thirds. For a 4 strand challah, cut the dough into quarters. (At this point I froze the other half, but I don’t know the outcome of defrosting yet). 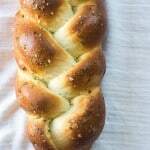 9) To braid challah, take one of the dough parts being used for a strand and roll it out sightly with a rolling pin. 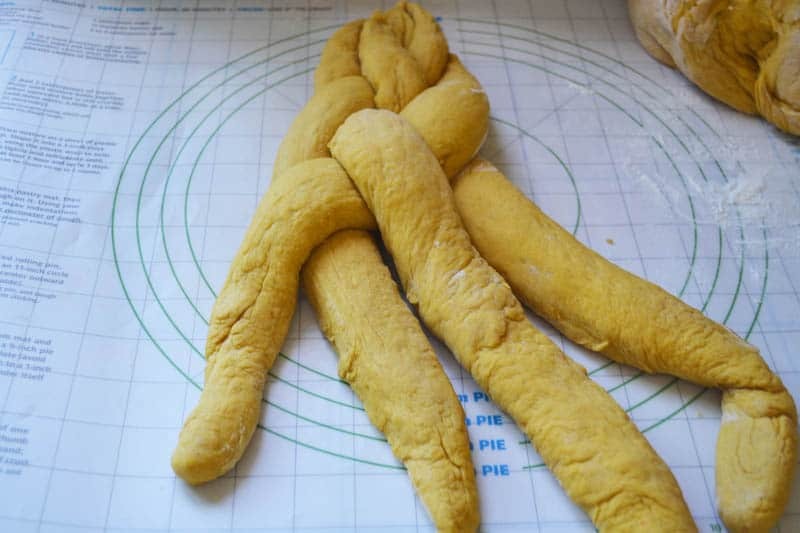 10) Then using your hands roll the further end of the dough towards you, creating a strand. Continue to roll on a floured surface until desired length. Use your hands to create length at the ends. 11) Once all the strands are created, secure them loosely at one end. 12) For a 4-strand braid, remember “Over-Under”Over”. Take the strand furthest to the right and go over, then under then over the strands. Repeat with the new strand that’s furthest to the right. After braiding, tuck the ends under. Place the challah on a baking sheet lined with parchment paper. 13) P re-heat oven to 350 degrees and brush the challah with egg wash. Tent the challah losely with foil and allow to rise for another 30 minutes. 14) Bake challah for a total of 40 minutes. But first set timer for 20 minutes then turn challah around in oven and bake for the other 20 minutes for even baking. Watch the challah for coloring and desired browning. *Note: After the 1st 20 minutes, I brushed the challah with additional egg wash in the areas that needed browning. 15) When challah is done is should be golden brown and not doughy in the center. *Future goals: Make strands neater and perfect braiding technique. In a large mixing bowl, dissolve 2 packets of yeast and 1 Tb sugar into 1/2 cup warm water, Wait about 10 minutes and the yeast should look foamy. If it doesn't, your yeast may have expired. 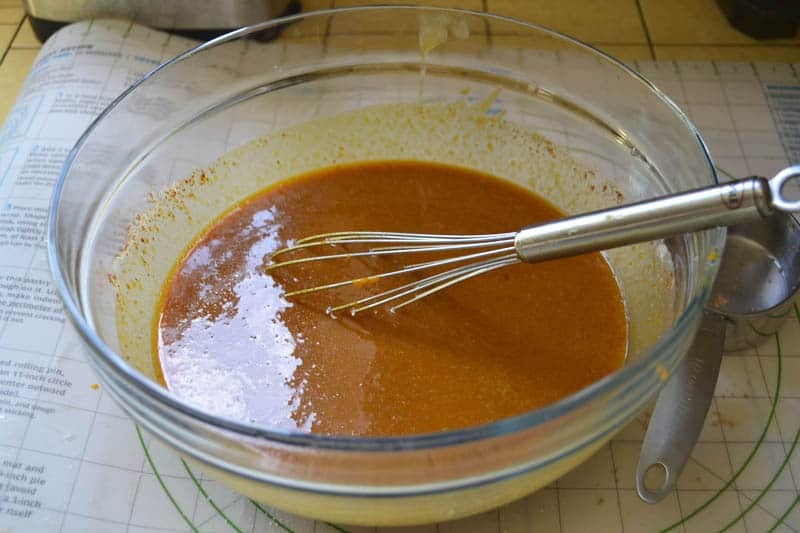 Once yeast is activated, add other 1/2 cup warm water and remaining sugar, eggs and yolks, honey, oil and spices. Whisk everythi8ng together until well incorporated. 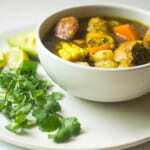 Add pumpkin puree and mix to incorporate. 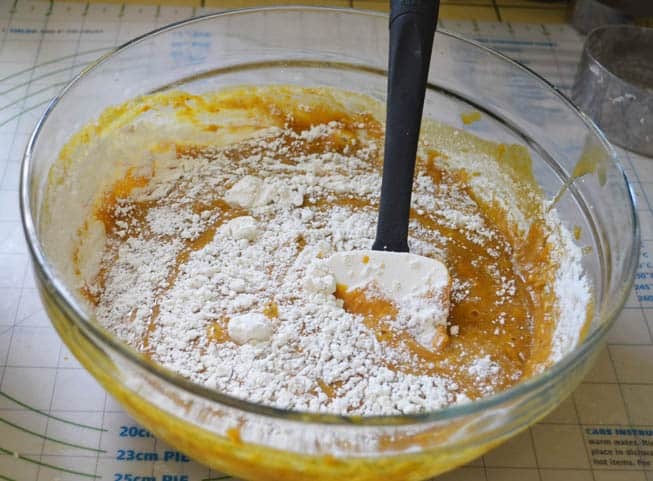 Add flour to the pumpkin mixture by the 1/2 cupfuls at a time. Gently mix in with a large spoon (Yes, this was all done by hand!) When mixture begins to get too thick to stir, take out of bowl and knead. This happened about half-way through. Continue to add flour until dough is not sticky. I used 7 cups of flour. 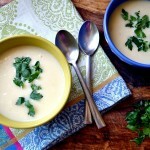 Wash out the bowl well and coat it with canola oil. Add dough back in and turn over so dough is covered with oil. Meanwhile, bring a small pot of water to a boil. You will use this to help rise the dough. Cover the dough with a damp towel and place it over the bowl and dough. Place bowl in the middle rack of your oven and the boiling pot of water (lid off) underneath. This crates a warm and moist environment and helps the dough rise Close oven but don't turn on and allow to rise for 1 hr. 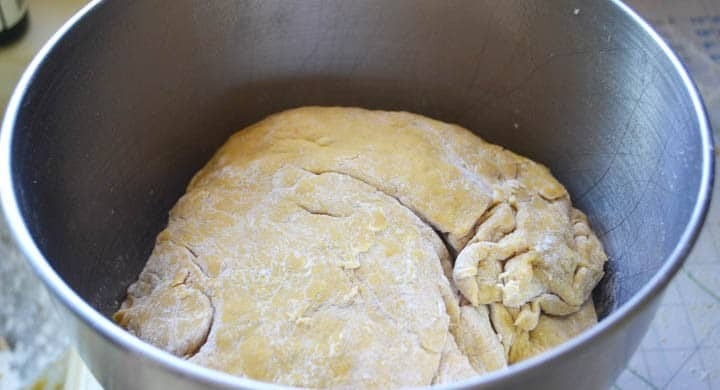 After the hour, take bowl out and punch the dough down a few times. This was the fun part! Then place it back in the oven for 1 more hour for a second rise. After the second rise, take the bowl out of the oven. Flour a clean surface and knead the dough a few times. Then cut the dough in half. Each half will make 1 large challah. For a 3 strand challah, cut your half into thirds. For a 4 strand challah, cut the dough into quaters. (At this point I froze the other half, but I don't know the outcome of defrosting yet). To brad challah, take one of the dough parts being used for a strand and roll it out sightlty with a rolling pin. 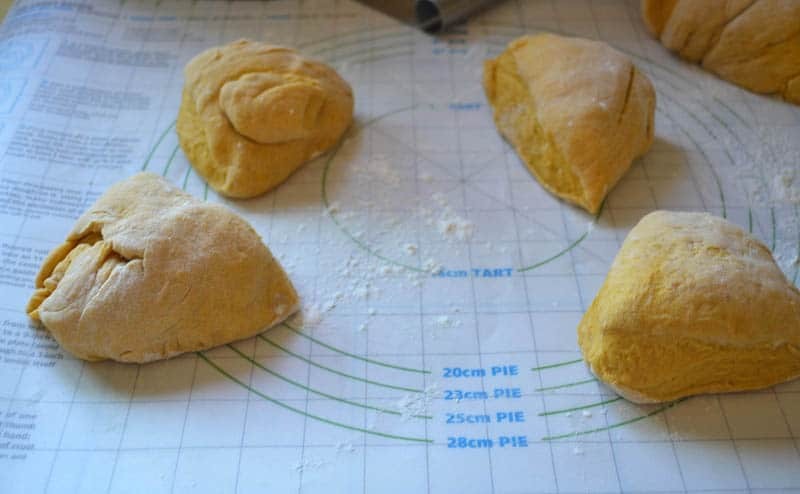 Then using your hands roll the further end of the dough towards you, creating a strand. Continue to roll on a floured surface until desired length. Use your hands to create length at the ends. Once all the strands are created, secure them lightly at one end. For a 4-strand braid, remember "Over-Under"Over". Take the strand furthest to the right and go over, then under then over the strands. Repeat with the new strand that's furthest to the right. After braiding, tuck the ends under. 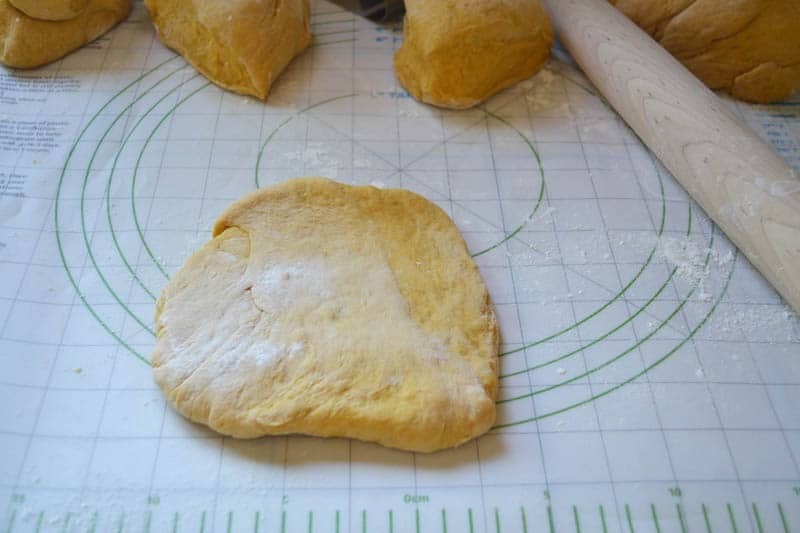 Place the challah on a baking sheet lined with parchment paper. re-heat oven to 350 degrees and brush the challah with egg wash. Tent the challah losely with foil and allow to rise for another 30 minutes. Bake challah for a total of 40 minutes. But first set timer for 20 minutes then turn challah around in oven and bake for the other 20 minutes for even baking. Watch the challah for coloring and desired browning. When challah is done is should be golden brown and not doughy in the center. This is absolutely beautiful! Also, I’ve yet to make challah, so you weren’t the only Jewish girl left! Gorgeous! 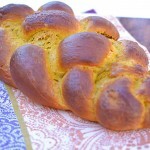 I’ve never seen pumpkin challah before, but this looks like something I need to try very soon. It’s just begging to be made into bread pudding or french toast – there is nothing like challah bread pudding! 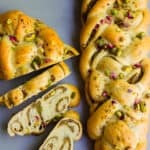 I’m Jewish and grew up in LA, so I always had access to all that amazing deli food and baked goods – I never attempted my own challah until I was 29 years old. There is something therapeutic about it for sure. 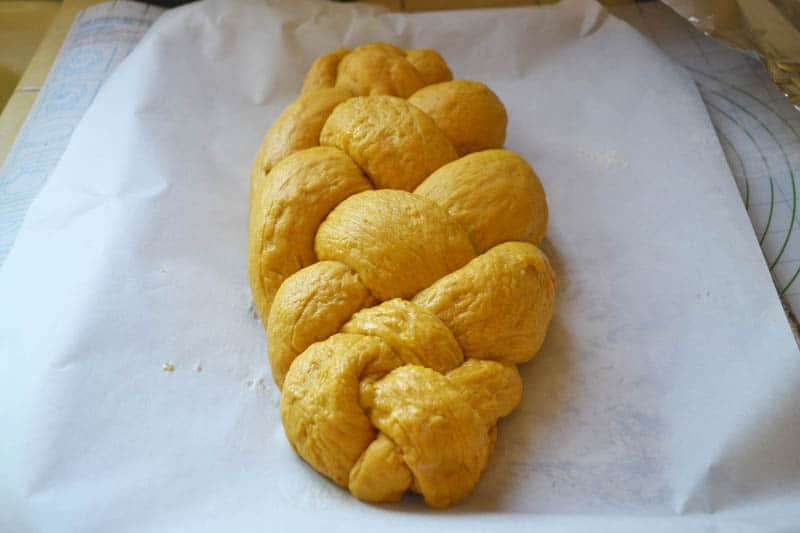 I haven’t made challah, and I don’t think I’ve ever eaten it before either, but I think yours turned out beautiful. And being pumpkin is a major bonus! 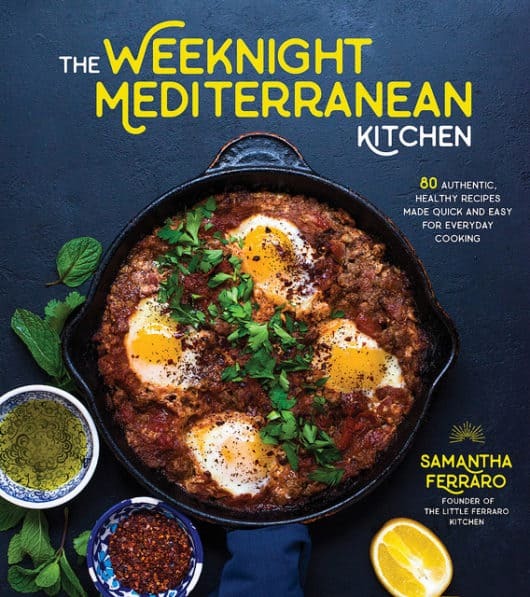 Breathtaking photographs and I can only imagine the aroma of baking pumpkin challah. Boy, I learned a lot reading your blog. Where do you get all this terrific information?